As I have said in my previous post summer is almost over. Sept. 21 is the official start of the Fall season. This morning when I drove my daughter to school it was 58'F and foggy that I had to turn the car head lights and wiper on. This is the start of Indian Summer, a time of the year here where it is very comfortable during the day, sunny but with the temperature ranging from high 50's to high 70's during the day and chilly in the evening. Being an avid golfer that I am, whenever the weather is perfect for outside activity, the first thing that comes into my mind is hitting golf balls in the fairways. Lately I haven't played as much as I want to. 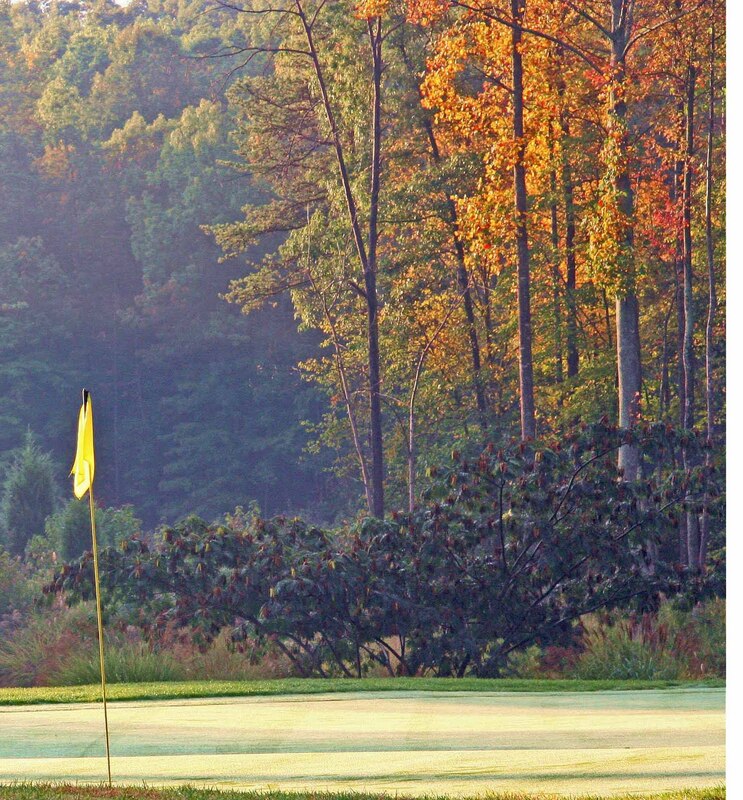 The last time I played was three weeks ago at Burke Lake in Route 123. But I have a small practice area in our yard for my short game and our basement's carpet as my putting green. With my handicap at 6, I need lots of practice to keep my momentum. I have a couple of tee times reservation with golf courses nearby and looking at my schedule this week, I think I will have the chance to play. 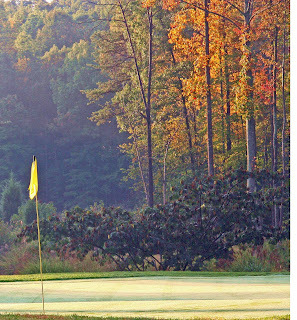 My favorite golf course in our area is Virginia Oaks and Old Hickory. They're both challenging to me for their narrow fairways, lots of dog leg left or right, bunkers and water hazards. Making par or birdie is just so rewarding. As long as I stay in the fairway, I am fine. But the moment I am in the rough or in the sand trap then I have lots of work to do. Golf to me is all about having fun. The reason I want to really fine tune my game is because I don't want to have many frustrations when I play. It is not fun when you always end up in the rough, in the hazards or woods and if you're unlucky, out of bounds. But you know what? Even if you're playing really bad, it only takes one nice drive, or a pitch/chip shot that sweetly landed very close or into the pin; or one very long putt that you sunk in and you will forget every bad shot you made. That's the beauty of golf. The reward for making the shot is very satisfying. You always feel that motivation to do better the next time. The challenge is always there and you know you can do it. For this year, my only frustration as far as playing golf is concern was that I was not able to go to Myrtle Beach. It was one of my big plans early this year. But because of the bad weather and many hurricanes in the Spring, the planned trip was cancelled at the last minute. I wish, I had this site that I found a while ago while browsing the internet for golf getaway next year. The site is www.48hourteetimes.com. They provide golf reservation 24/7 in the Myrtle Beach area. You don't just get the reservation at the last minute, you also get great savings on fabulous discounts you get when you book through them. They are really an awesome 48 hour tee times source. Well, here comes the time of the year when the temperature during the day is just perfect--not hot and not too cold. And the surrounding is so gorgeous with fall colors. This is the most fun time to play golf. Time for me to play more! Time to play at Pueblo de Oro or Palos Verdes, lol. And with same handicap, it will be a lot of fun.